True Brand® Aerosol 2-Part Kit combines two of our hottest, most aggressive formulas to clean and attack tenacious hard carbon deposits that build up and choke performance and is ideal for today’s direct injection (GDI) engines. This kit uses our proprietary Surface Science Technology to provide complete cleaning from the gas tank to the exhaust, safely dissolving and removing gums, varnish and carbon deposits and cleaning upper engine and intake systems. 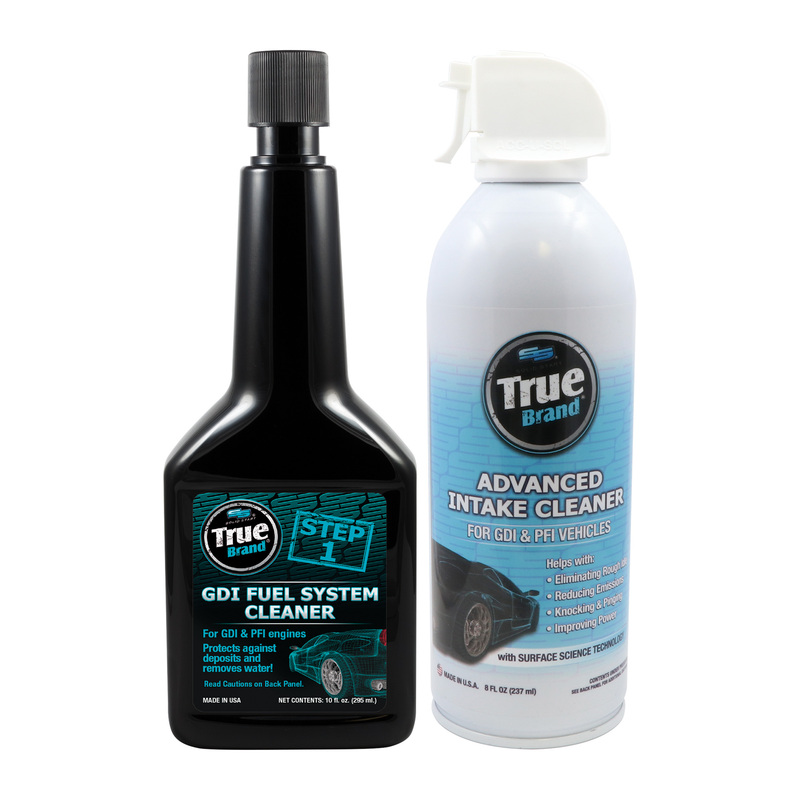 True Brand Advanced Intake Cleaner helps eliminate rough idling, knocking, pinging, and engine run-on while reducing emissions and improving power, performance and fuel economy. It also removes hard carbon deposits and dissolves gum, which allows piston rings to expand freely and restores compression.